The American Association of Blacks in Energy (AABE) presented its most prestigious, national energy service award, the James E. Stewart (JES) Award, to Congressman Bobby Rush at the 39th annual national conference, during the James E. Stewart Gala in Chicago, Illinois at the Chicago Hilton Hotel on Friday, April 22, 2016. The JES Award was created to honor AABE member James E. Stewart for his influential involvement for Blacks and other minorities in the energy field. Stewart served on the Board of Directors for the National Association for the Advancement of Colored People (NAACP) and sparked the establishment of that organization’s influential Energy Committee. He was influential in making the connections between the AABE organization, the NAACP and the National Urban League. The AABE acknowledged Illinois Congressman Bobby Rush for his outstanding and distinguished accomplishments. Congressman Rush was elected into office in 1992, and has won consecutive re-election since taking office in 1993. Congressman Rush’s track record of leadership on energy issues and his support for small business has gained him seats on the House Energy and Commerce Committee and as a ranking Democratic member of the House Energy & Commerce Committee’s Energy and Power Subcommittee. During his tenure, he has been able to pass multiple acts that included the Consumer Product Safety Improvement Act of 2008, Patient Protection and Affordable Care Act and Dodd-Frank Wall Street Reform. Additionally, Congressman Rush introduced the 21st Century Energy Workforce Jobs Initiative Ac in 2014 which has received bipartisan support in both the House and the Senate. The James E. Stewart Award (JES) Award is AABE’s highest level of recognition and is bestowed upon the member selected as an individual who is a distinguished high achiever in the energy field, as well as, demonstrating outstanding leadership within the AABE organization and the community. JES Award winners exemplify a superior commitment to the goals of the AABE organization through their high level of contribution to its growth and their involvement in the development and execution of its policies, programs and activities. 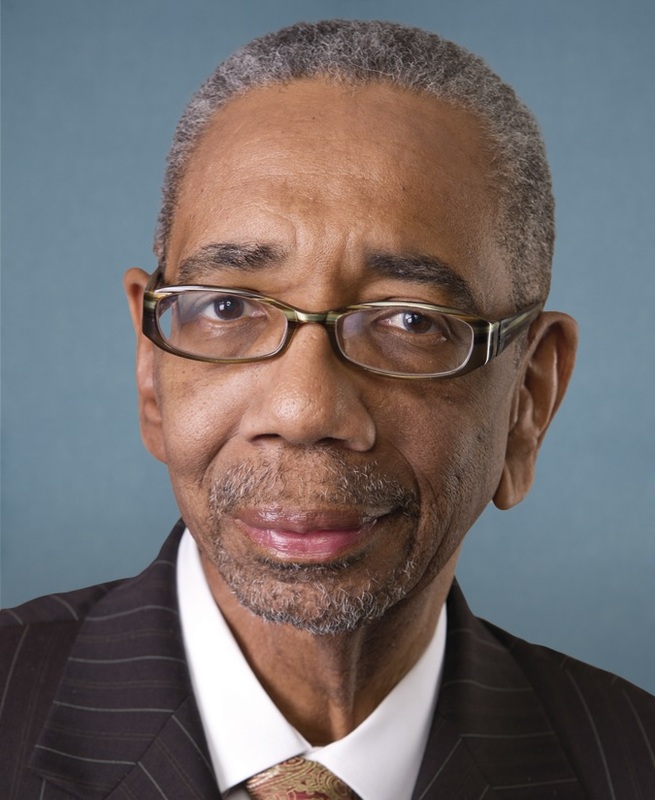 “AABE is an outstanding organization that creates a pathway to energy sector jobs and entrepreneurship for African Americans and other minorities,” said United States House of Representative Congressman Bobby Rush. “It is an honor to receive the James E. Stewart Award as it aligns with my most pressing concern which is making sure, up front and from the beginning, that minority firms are a part of the pipeline and will directly benefit from vendor and contracting opportunities in the energy sector. I believe that promoting STEM education, as well as developing educational guidelines for institutions of all levels will help ensure that we are training individuals with the skills necessary to work in energy- and manufacturing-related jobs, including energy efficiency and conservation initiatives, from blue-collar workers, to managers and supervisors, up to and including new entrepreneurs and business creators and this is the work of AABE,” affirmed Rush. The mission of American Association of Blacks in Energy (AABE) is a national association of energy professionals founded and dedicated to ensure the input of African Americans and other minorities into the discussions and developments of energy policies regulations, R&D technologies, and environmental issues.